The Samsung Galaxy Nexus has had a somewhat slow rollout in the US. While the device has been on Verizon for a while, it still has yet to officially be released by any other carriers. We've seen recently that Sprint will be launching the device soon, but AT&T and T-Mobile users have had to rely on imported GSM versions. 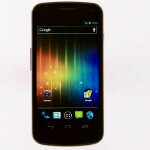 Now, it looks like AT&T will be officially launching the Galaxy Nexus, complete with LTE support. This is still an unconfirmed rumor at this point, but AndroidRevolution is claiming that an "inside source" at AT&T has said that AT&T SIM cards for the Galaxy Nexus have been sent out for testing, which is usually a pretty good indicator that a device will be coming relatively soon. The SIM cards have been confirmed as LTE-enabled. It has been reported that the SIM cards are full-sized and not micro-SIMs. We can't say for sure how reliable the source is, but if all the info checks out, it seems likely that an LTE-enabled Galaxy Nexus would be making its way to AT&T fairly soon. We'll try getting some more confirmation and bring you more as we get it. And this would be a good replacement to my I-777, bring it on! Will the Sprint version run on WiMax and 4G LTE? Hmmm, makes sense, but it may help with coverage until Sprint is done. Sprints version is the same one on Verizon. I work for AT&T and I have not heard anything about the Galaxy Nexus coming soon. I'm sure it's probably true though. Also, SIM cards are universal to every phone. There's no phone that has an "Exclusive" SIM card as it's own that I know of and never heard of it. iPhone 4 was the first for the micro sim and now available for a few Pantech Android devices. The poster needs to correct that. I was going to get this phone but heard it has radio issues. I finally got the HTC Rezound instead. You as ATT users are lucky if you get the version with the radio issue solved. It will be worth the wait (even though it's considered as quite long time)! AT&T should offer it, mainly because I like that their 4G LTE phones fall back on HSPA+ if you don't have LTE coverage in your area. Both technologies are pretty fast, so it's a win-win situation. Whats the point...now everyone is waiting for SGS-III...but I might sell my i777 to try Nexus! It wouldn't surprise me if T-Mobile is ignored. It would be a shame if T-mobile is the only one of the big four to be left out on the Galaxy nexus. People already want the S III. now what if the galaxy s3 is as disappointing as we never thought it would? What if the design is as ugly as ...... what would we say now? WHAT IF it got lower benchmark scores than htc one x? What would we do now? The Galaxy Nexus is old news already. Bring on the S3! It's not even worth the hassle to sell your GS2 or Skyrocket to get the Nexus. It's basically the same phone with a bigger screen. Anyway, didn't PA already post that AT&T's Galaxy Nexus was gonna be the Skyrocket HD (which isn't the same as the Nexus anyway)? What ever happened to that? But anyone that has an S2(i777) or Skyrocket (i727), I would suggest keeping them until the S3 comes out, or something more advanced.